We also provide tests for ovulation timing, endoscopy-aided artificial insemination, male fertility testing and hormonal treatment. The analysis of Fertilizers is also very very important through the view point of their utilization to soil and cultivation harvesting etc. We undertake the analysis of fertilizers of any type. The mixtures of different fertilizers. The estimation of total Nitrogen total Phosphorus and total Sulphate are of vital importance. 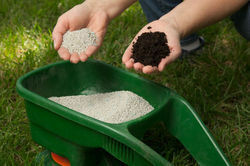 Fertilizers are any solid, liquid or gaseous substances containing one or more plant nutrients. 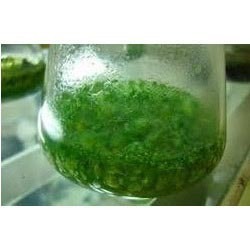 They are either applied to the soil, directly on the plant or added to the aqueous solution, in order to maintain soil fertility, improve crop development, yield and crop quality. SRI help to ensure the quality /purity of the chemicals & fertilizers by testing & certifying them using national & international standards.Testing : Products, Parameters, Instrumentation, Speclalized Studies, Consultancy. - Bone Meal & etc. Shree Ram Testing Laboratories involves in testing fertilizers. Fertilizer is a chemical or natural substance added to soil to increase its fertility. Soil testing helps analyze the condition of soil and trace out with befitting solutions. Our services are executed using latest technologies as per set international standards.